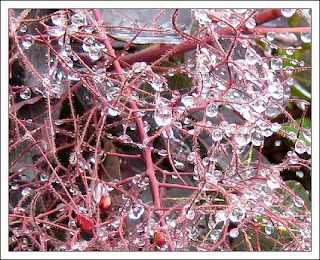 There is something so beautiful about rain drops as they hang like tiny jewels on the trees and flowers. I took this after a heavy downpour. It is spoilt really by the compression.